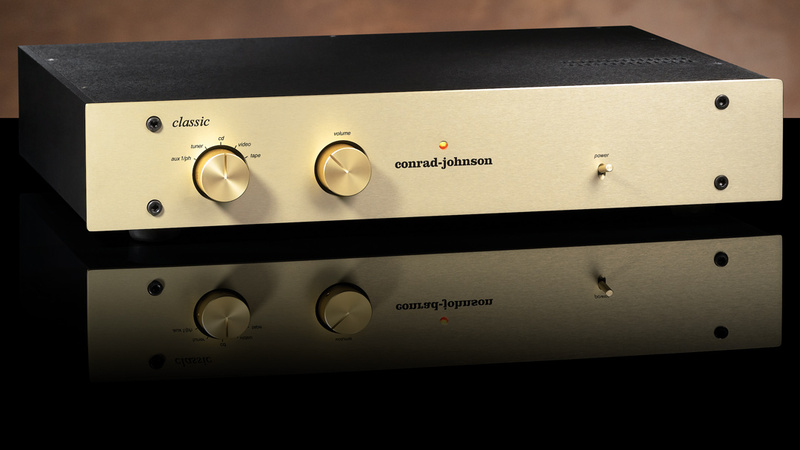 For more than thirty years, conrad-johnson has refined the concept of high end audio through its relentless pursuit of excellence. For as long as the company has been producing its world-renowned state of the art audio instruments, it has also been adapting the technologies and construction techniques responsible for those products and applying them to more affordable components designed for the music-lover who requires musically satisfying performance but whose budget does not encompass the loftiest of current offerings. 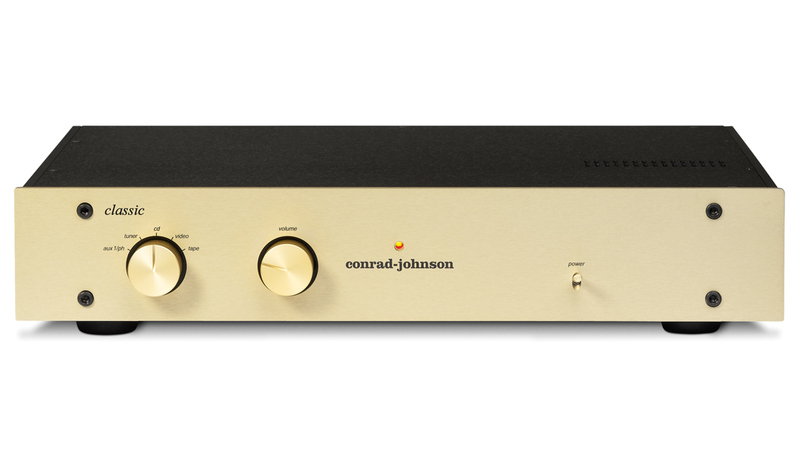 The conrad-johnson Classic-2 vacuum-tube preamplifier honors this thirty-year heritage of musically accurate, moderately priced preamplifiers which have displayed the conrad-johnson name. The Classic-2 faithfully reproduces the harmonic structure of complex musical passages, preserving the distinctive tonal character of each instrument and voice. The space of the sound stage and the ambience of the concert hall are conveyed in realistic, three dimensional perspective. Individual instruments are precisely located within that three dimensional space. Musical transients are reproduced naturally, with realistic impact, but without the artificial enhancement which characterizes so many “hi-fi” components. Never imposing its own distractions, the Classic-2 invites the listener to enjoy the musical performance. The Classic-2 preamplifier is available as either a line-stage, or with an optional phono stage. Both stages are zero-feedback circuits. Premium quality component parts are specified for the Classic-2 to assure full realization of the potential performance of the circuit designs and to dependably sustain that performance for years to come. Precision, metal-film resistors yield low noise performance for greatest clarity. Polypropylene and polystyrene capacitors, used exclusively in both the audio circuits and the regulated plate voltage supplies, offer maximum temporal accuracy. Phono equalization in the Classic-2 is accomplished with 1% tolerance precision parts to assure tonal neutrality. Industrial quality controls offer extended life and maintain a crisp, precise feel. The Classic-2 offers an excellent, low-cost introduction to the joys of modern tube preamplifiers. For those who wish to take the experience a step further we offer the upgraded Classic 2SE, which incorporates CJD Teflon Capacitors and ultra high-performance metal foil resistors in strategic applications in the circuit. Either model is sure to enhance your enjoyment of playing back great music recordings in your home. All conrad-johnson products are carefully hand assembled and each is thoroughly tested to assure conformity to our exacting performance standards.